Buy a new gTLD domain name? Most are saying "No"
New gTLDs--to buy or not? If you buy a new gTLD domain name, will there be ANY search benefit? Dot Com Domain Names, Better than Gold? Istanbearish - NYTimes.com: "... we have a chronic problem of too much saving chasing too few good investment opportunities, which means that you only feel prosperous when money thinks it has found more good places to go than it really has — and soon enough figures that out, with nasty effects." --Paul Krugman, Nobel Prize winner for Economics, Mr. Krugman's current academic research is focused on economic and currency crises. The digital economy is the only growth economy worth investing in for many investors -- almost everything else is contracting, or at a minimum, margins are contracting; that is one reason why Google sold Motorola to Lenovo. Google would much rather be in the digital economy of online advertising and online services than smartphone hardware. (Take note Microsoft and Apple.) How does the average investor invest in the digital economy? Besides stock in technology companies, which can be up, then down like, e.g., RIM a/k/a BlackBerry, or are overvalued, domain names can be parked, developed, leased, re-developed, and sold. Dot com domain names dominate the internet domain name marketplaces, and bring in the greatest dollars year in and year out, don't take my word for it, check it out for yourself. Why dot com domain names and not other extensions? 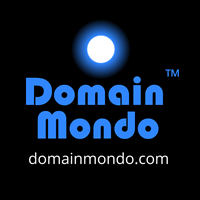 Only the dot com domain names have the global branding and power in the global marketplace. Instantly recognized and trusted, dot com domain names, unlike many other domain name extensions, are administered by the registry Verisign, under the jurisdiction of the United States government and US legal system. Virtually every global corporation, company, and business, in the world, with trademark, branding and competitive concerns, has their brand(s) on a dot com domain name. In fact, the .com extension was the only domain name extension originally intended for commercial (i.e., business) enterprises (whereas .gov was for government, .edu for education, etc.). And unlike new gTLDs which are limited in scope, e.g., ".bike," ".car," ".tattoo," etc., the dot com extension is unlimited in scope--any and all business sectors utilize dot com names. Not only that, but the same dot com domain name can be used for completely different business purposes over time, allowing pivots, and multiple uses and users -- think of the various ways the name mint.com might be used. This increases inherent value, and only dot com domain names have established dominance in the domain marketplace with this inherent advantage. Because a dot com domain name has recognition everywhere in the world (unlike 2 character country codes, business specific new gTLDs, etc. ), the potential domain name buyer pool is much larger compared to the limited number of buyers and users for all other domain name extensions. Am I saying only in the dot com naming space can one make money with domain names? Of course not. But unless you are willing to devote a lot of time and resources to develop a domain investment portfolio in another extension, I believe the investment potential in dot com domain names exceeds all other domain name extensions. (The foregoing is my personal opinion and does not constitute investment advice nor recommendations for specific investment--see disclaimer below). ICANN's personalized domain names attracts little interest from higher education | Inside Higher Ed: " . . . The requirements are proving too onerous for many institutions, however, including the ones that can afford to pay for them. In addition to Monash, only two other universities applied in 2012: Bond University and La Trobe University, both also in Australia. Stanford University considered applying but found the costs too prohibitive, said spokeswoman Lisa Lapin, who cited a $200,000 price tag that didn’t include annual fees. “We also want to remain in the .edu space for its widely recognized, official confirmation that we are an educational institution,” Lapin said in an email. “As with most universities, we do use a few .org domains, including for athletics and Stanford Medicine, when the activity is not always directly related to our academic mission.”... If elite universities are turning down generic domain names, they may have limited significance in higher education -- especially since institutions that share a name with a region or a city may not be able to register theirs. The University of Georgia system, for example, would likely face objections from not only the state, but also the country. . . ."
Or as they say in Washington (home of the surveillance state): "Connect the dots . . . ."
Inept ICANN, Glossary Terms and Acronyms Now Online? "the updated glossary terms and acronyms are up on our website" - Really? Where? Did you ever think of providing a "link" in your blog post? Does everything ICANN does have to be like this - obfuscated, hard to find, hidden, not disclosed? "Our website"--are you referring to icann.org? Your "glossary" does not appear on the home page. I looked under "Resources"--nothing there. Pray tell, if you are so "proud" of your glossary, WHERE did you "hide" it? Are you referring to this glossary: http://www.icann.org/en/resources/idn/glossary OR this glossary: http://www.icann.org/en/about/learning/glossary OR something else? UPDATE: After my comment was posted, the links were posted on the original blog entry at the first link above. gTLDs: Rebellion at the Dotcom Kingdom: "... Understanding Naming: So long any one can name, learn to identify the difference between professional and amateurish naming, learn the various methodologies and types and styles of naming, create a formal balanced logical approach and eliminate widely random name selection exercises. Seek out the best articles from the thousands on the Internet and study few books. Lead the teams and create iconic naming and follow the five star standard of naming. All of this can be done as the future of your name identity and its image presence depends on it...."
The basic problem with ICANN's new gTLDs is that ICANN did nothing new! And this is the basic problem that undermines the whole new gTLDs movement -- Right of the Dot, Left of the Dot, A Name is a Name is a Name. "Oh, but I want my name to be my extension"--really? Why? You don't want to lead with your brand name but instead some sub-category? Dumb! ____.pepsi??? What goes in the blank? Soda? Bottle? OK, "diet" could work. But wouldn't it be better to drive the mass audience to your kingdom--your dot com-- and then entice them to buy more than they would otherwise? That's what Amazon does with Amazon.com! Time will tell. Matt Cutts - Google+ - I read a post by someone offering new top-level domain…: "I read a post by someone offering new top-level domain (TLDs). They made this claim: "Will a new TLD web address automatically be favoured by Google over a .com equivalent? Quite simply, yes it will." Cutts: "Sorry, but that's just not true, and as an engineer in the search quality team at Google, I feel the need to debunk this misconception. Google has a lot of experience in returning relevant web pages, regardless of the top-level domain (TLD). Google will attempt to rank new TLDs appropriately, but I don't expect a new TLD to get any kind of initial preference over .com, and I wouldn't bet on that happening in the long-term either. If you want to register an entirely new TLD for other reasons, that's your choice, but you shouldn't register a TLD in the mistaken belief that you'll get some sort of boost in search engine rankings.﻿"
Thanks Matt. Some of these new gTLD hucksters and sycophants are worse than crooked Used Car Salesmen! Caveat Emptor! Registrars adjust registration prices on some of Donuts’ domain names | Domain Name Wire: "One of the early criticisms of new top level domain names is that they cost 3-4 times as much as most existing domains, such as .com and .net. The pricing for some of the less expensive domains is around twice the cost of .com." New gTLDs -- paying more for less. If you have a registrar you would recommend to others, feel free to leave a comment below. What’s In a Domain Name? You Better Find Out BEFORE You Buy! If you stray from buying a dot Com name, and opt for a 2 character country code domain name, or any of the new gTLDs, you better know (in addition to all other due diligence, history, trademark clearances, etc. ), what nation you are buying into, the registry, the registrar, all of the requirements, the costs, the applicable laws and jurisdiction, and all other risks--for example: They Clicked With Investors—Now What? Who Will Win the Race to Sell Art Online? | Gallerist: " . . .Artsy, which hit 27,627 (its traffic possibly hindered by the fact it had to change its URL in early 2013 to Artsy.net, since its older, trendier URL Art.sy was technically based in Syria . . ."
EU Pushes to Globalize Internet Governance, Goodbye ICANN? EU Pushes to Globalize Internet Governance - WSJ.com: "The European Commission, the EU's executive arm, will propose on Wednesday the adoption of "concrete and actionable steps" to globalize essential Web functions—including the assignment of so-called top-level domain names, such as ".com" or ".org"—that remain contractually linked to the U.S. government, according to a draft policy paper seen by The Wall Street Journal...."
The 21-Year-Old Model With Eyes on Your Living Room: Video - Bloomberg: "Meet Katherine Choynowski, a privileged 21-year old former model who set up Le Crib, an online shopping hub for people with an eye for the rare and artisanal. As Bloomberg's Anna Edwards found out, her background isn't exactly ordinary. (Source: Bloomberg, Feb 3, 2014)"
TrakBill changes name, rebrands with a ‘c’ - St. Louis Business Journal: "...Stuck with TrakBill (without a ‘c’) because it didn’t own the domain name when founded in early 2012, Marciniak said the company bought the trackbill.com domain name while in Capital Innovators in early 2013. As part of the change, TrackBill is also changing its pricing system from the amount of bills a user tracks to the number of states a user tracks in. Marciniak said it should help boost sales among lobbyists and organizations looking to track bills in multiple states." 1 . Beware the Narrative . . . When it comes to investing, there are two problems with . . . storytelling: It ignores actual data. And it makes investors feel good, regardless of what is actually happening. 3. Ignore History at Your Own Peril [what happened to previous new gTLDs? -- Rick Schwartz can tell you all about that] . . .
4. Leverage is Always Dangerous [when it comes to new gTLDs, no matter what anyone tells you, you are gambling, not investing] . . .
5. Understand the Circumstances of the Moment [this is an exciting time in the domain business with all the hype, noise and misinformation; think and reflect before you jump] . . .
6. Don’t Be Unwilling to Walk ["No" is the most powerful two-letter word in the English language] . . .
8. Don’t Guess [unlike stocks, new domain names have no fundamentals. They also have no cash flow, or earnings] . . .
9. Ignore [the hype, spin, and misinformation -- "dot com is your daddy's extension" and Other Nonsense; also beware of FOMO - fear of missing out - see #6 above] . . .
10. Pay Attention to the Skeptics - Someone challenges the belief in gold, and instead of responding with empirical, data-driven counter-arguments, the true believers revert to personal attacks. Scroll through the comment section of the blog ZeroHedge.com to see the sort of nonsense that passes for debate. A lack of reasoned discourse is overcompensation for a weak investment thesis. [Rick Schwartz, the Domain King, has written all about this] . . . . Astute investors will learn something from watching and thinking about other people’s mistakes. Hopefully, you can avoid repeating these errors when the next mania rolls around." Domain Sherpa interview of the Domain King is a "must watch"
Renowned Sound Isolation Store Shortens Domain Name to IsoStore - Press Release - Digital Journal: "For years this online sound isolation product reseller and manufacturer, known as Sound Isolation Store, was found online at soundisolationstore.com. In an effort to set their company apart from the competition and to create a catchier name, they have officially changed their domain to simply isostore.com." I have no idea what those new gTLDs with long extension names were thinking, do you? Europol Seizes 690 Domains In Cyber Monday Crackdown: "Cyber Monday sellers pushing counterfeit goods taken offline by Europol and international partners . . . Europol, along with othr law enforcement agencies round the world, has shut down 690 domains allegedly being used by crooks to sell counterfeit goods. The Transatlantic 3 operation, also known as Project Cyber Monday IV, has seen 297 domain name seizures in the US, with another 393 in Belgium, Denmark, France, Hungary, Romania, Spain and the United Kingdom. A similar Europol project last year saw 132 domains seized..."
Of course there are many other risks involved when you lease or allow others to use your domain name. Consult a qualified attorney before you enter into an agreement. ICANN's imprudent and massive proliferation and flooding of the domain name market is the cyber criminal's and cyber abuser's dream come true. ICANN has now enabled criminal cybergangs to launch multiple sites with hundreds of different extensions, all engaged in criminal activity and other wrongful activity. If there were 9,500 cases in 2012 alone, when only 22 gTLDs existed, what do you think is going to happen once all of the new gTLDs launch? If you do not have a domain strategy in place to deal with the chaos and criminality unleashed by ICANN upon the internet--it is time to develop a strategy to deal with the coming criminal and abusive activity.